What sections should I know before attempting to learn this section? How do you name covalent (molecular) compounds? These prefixes are used in front of each elemental name in a compound. Sometimes the “a” on the end of the prefixes, like penta or octa, will be omitted. Don’t worry about it too much, right now. 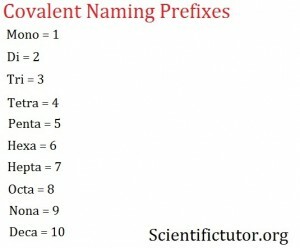 Examples: Give the name of each compound using the covalent prefixes and a regular periodic table. VIDEO Covalent Naming Examples 1. One trick in this whole system has to do with the mono- prefix. Mono- is a special prefix that you do not always use. You have heard this exception before but may not have realized it. Take the compound CO2. Think… what is the name of it? Right, carbon dioxide. So why does carbon not have a mono- prefix on it? The exception I was talking about earlier is just that. If the first element in the compound is only one of that element, you do not use the mono- prefix. Here’s an additional example to drive the point home. Another common compound you have heard of is carbon monoxide. So what does it look like? That is right: CO. It is a perfect example of how the first element, carbon, has no prefix, but the second has a prefix. This rule is only true for the mono- prefix, so do not use it for any other purposes in covalent naming. 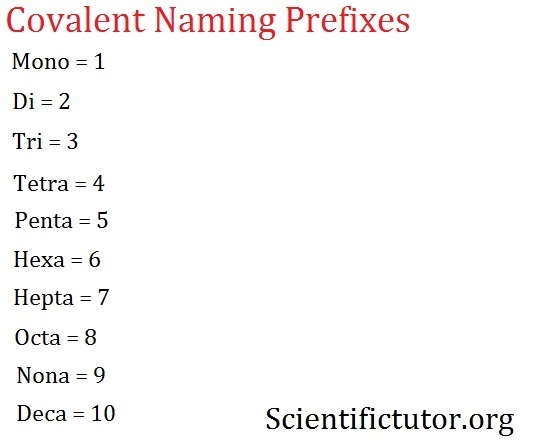 VIDEO Covalent (Molecular) Naming Demonstrated Example 1: Give the name of each compound using a regular periodic table and the covalent prefixes. How much chlorine do you have? What is the prefix for the chlorine? Answer: It should be mono but since it is the first element you don’t write it. How much fluorine do you have? What is the prefix for the fluorine? How do you modify the ending of fluorine? What is the complete chemical name? 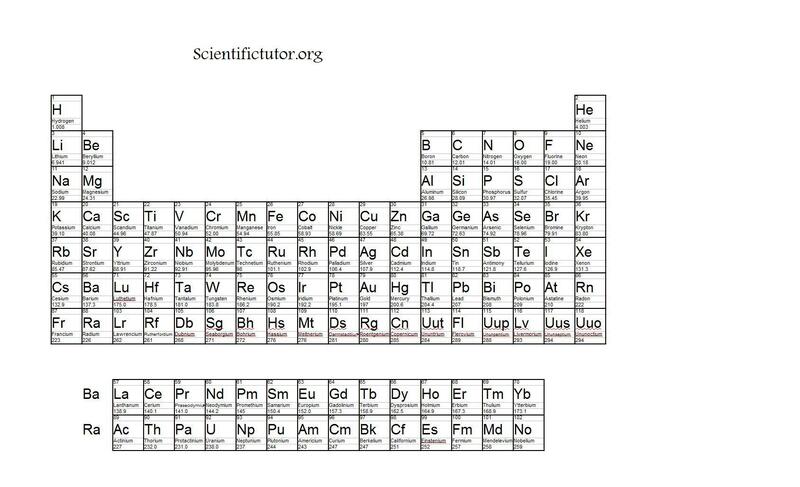 PRACTICE PROBLEMS: Give the name of each compound using a regular periodic table and the covalent prefixes.